Samsung has announced that they are launching their all-in-one Music Hub service in the United States in both free and paid versions. 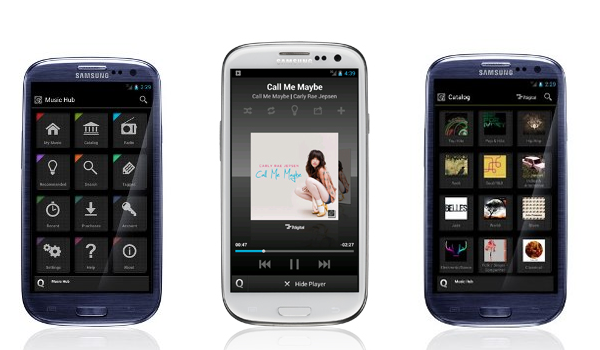 Initially offered on select Galaxy S III models, Music Hub provides access to millions of songs , allows for streaming and/or downloading, and even offers some cloud storage as well! To get things going, Samsung is giving everyone a 30-day trial of the Premium service which will then switch over to $9.99/month. Hit the press release below to see the differences between the free and paid clients.